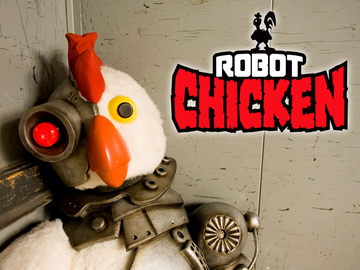 After recently spotting Seth green at Star Wars Celebration VI and listening to his interview on The Nerdist Podcast I finally decided to give Robot Chicken a whirl. This show is genius and I don’t know what took me so long to seriously start watching it. Seth Green and Matt Senreich have taken stop motion animation to a whole new comedic level. The beauty about this show is it all revolves around toys that you (or I) used to have or wanted to have in short skits poking fun of pop culture, movies, and TV shows. Bottom line, this show is funny as hell. I will be posting my favorite clips weekly to share the joy.